Born in Richmond, Surrey in 1913. Studied art at the Ruskin School of Art, Oxford, then at the Westminster School of Art and at the Slade. From 1946-79 he taught at the St Martin’s School of Art (from 1951 he was Head of the Paintings Department). His first one-man exhibition was held at the Redfern Gallery in 1937 (also in 1949/50/53/56/62). 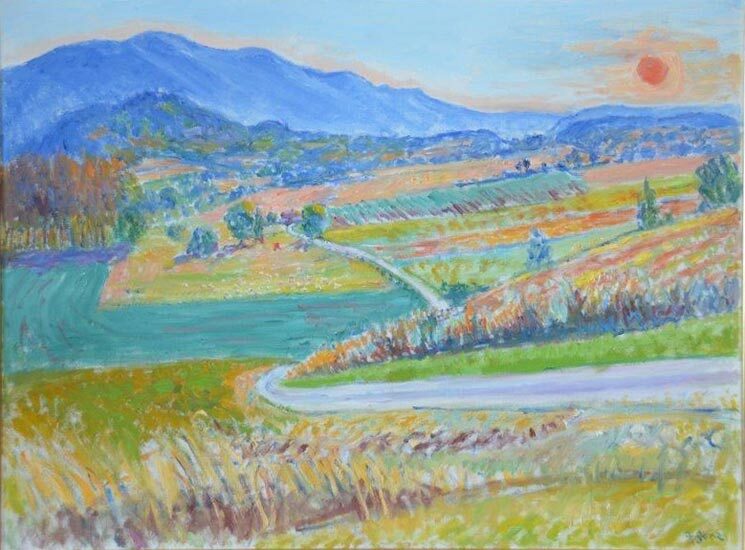 In 1938 he travelled and painted in Greece and in this year held a one-man exhibition of his Greek paintings at the Galerie Borghese in Paris. This was followed in 1939 by a one-man exhibition of his Greek paintings at the Stafford Gallery. Other one-man exhibitions followed in 1958 at the Mayor Gallery (also 1960) and in 1963 at the Juster Gallery, New York. Two retrospective exhibitions were held in 1979 at Gainsborough’s House, Sudbury and in the Bury St Edmund’s Art Gallery. 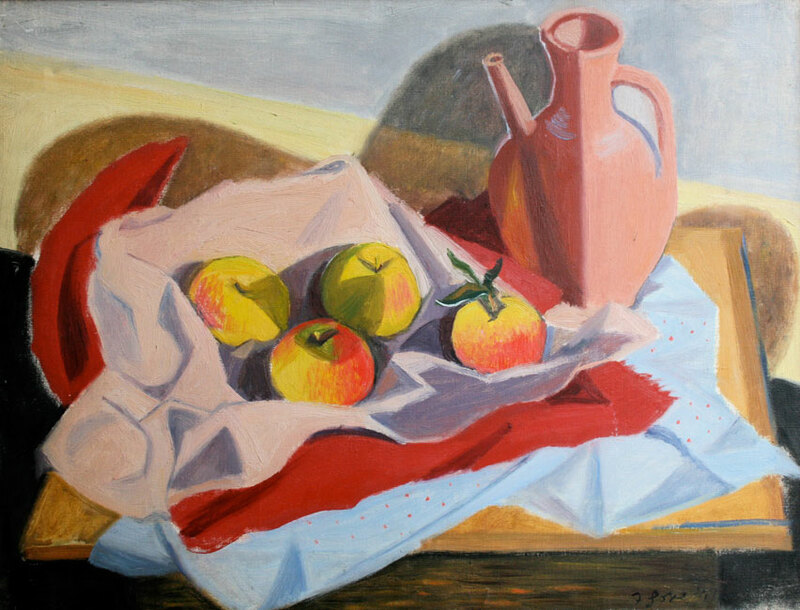 Frederick Gore exhibited regularly at the Royal Academy and was elected Royal Academician in 1973. In 1954 he exhibited in the Contemporary Art Society Exhibition at the Tate Gallery (also in 1956/58). In 1977 he exhibited in ‘British Painting 1952-1977’ at the Royal Academy and at this exhibition he was Chairman of the organizing committee and author of the Introduction in the catalogue. 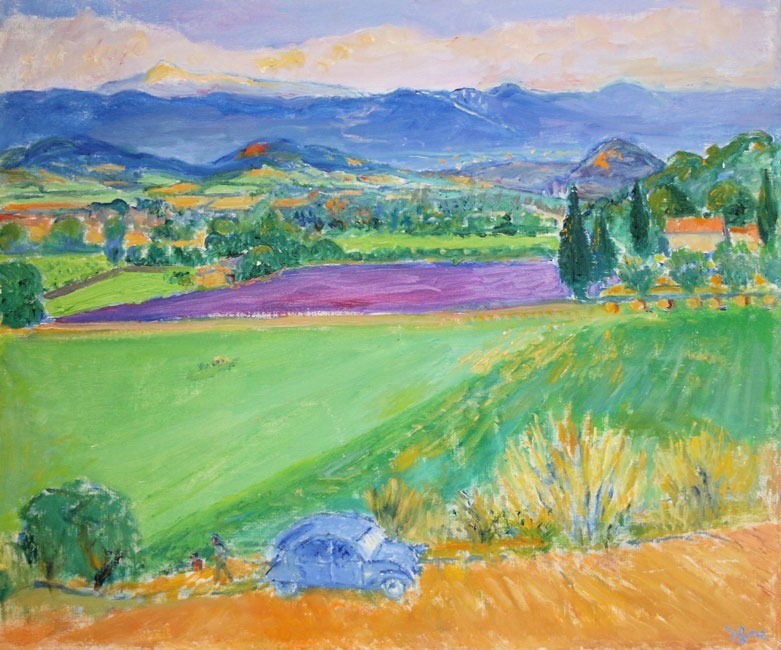 Frederick Gore has had a very long and happy association with the Fosse Gallery, since 1983. The Fosse Gallery has staged four very successful one-man exhibitions from 1990-2003. Southampton, Plymouth, Beaverbrook Collection, Department of the Environment, Contemporary Art Society, Rutherston Collection, Doncaster, Reading and Leicestershire County Councils and Greater London Council.